The title of HPNA Fellow is more than recognition of one's accomplishments. It indicates a commitment to our field and our practice. HPNA Fellows are leading the way for the future of palliative nursing. These are our leaders in clinical care, research, management, advocacy, and policy. 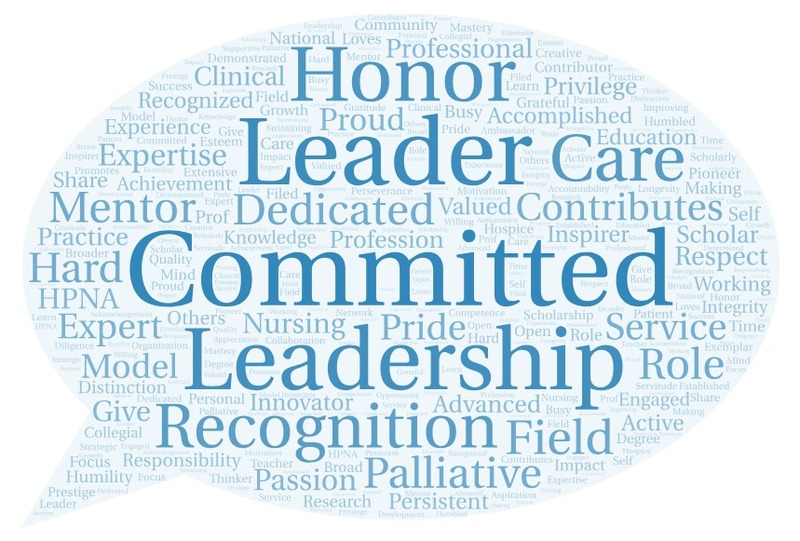 Once inducted, HPNA Fellows are expected to fulfill this honor through continued commitment to both the specialty and the organization. Criteria for FPCN® induction by the HPNA Board of Directors is described in both the preapplication checklist and the FPCN® application. A new application form will be available on July 1. Applications will be open July 1 through August 31, 2019.